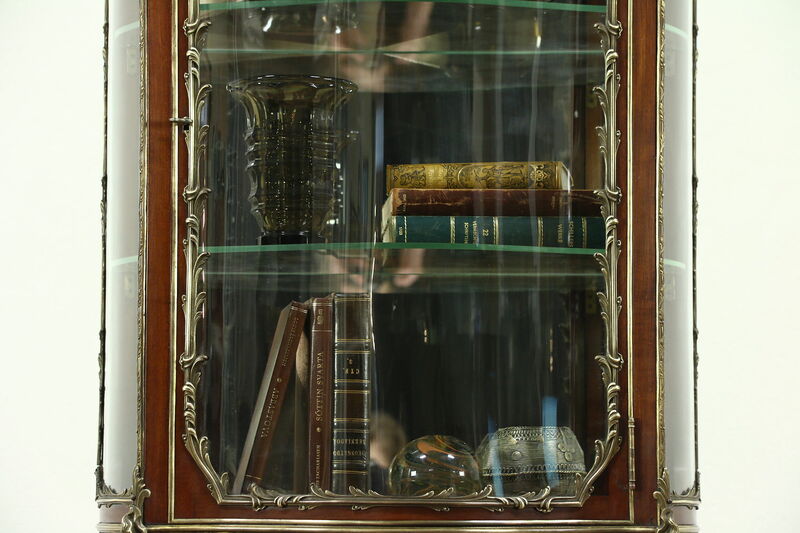 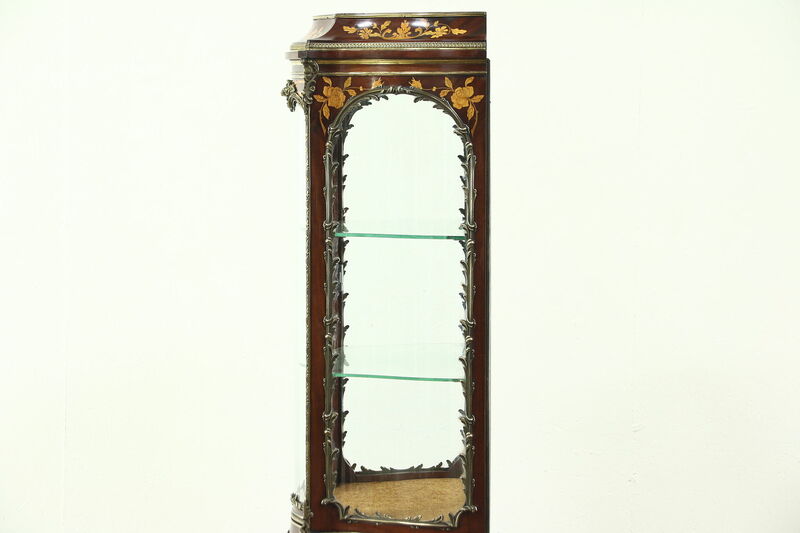 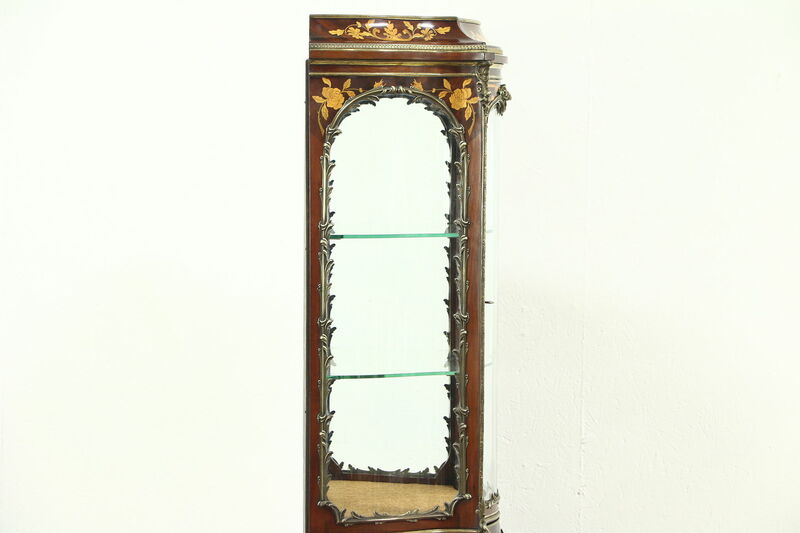 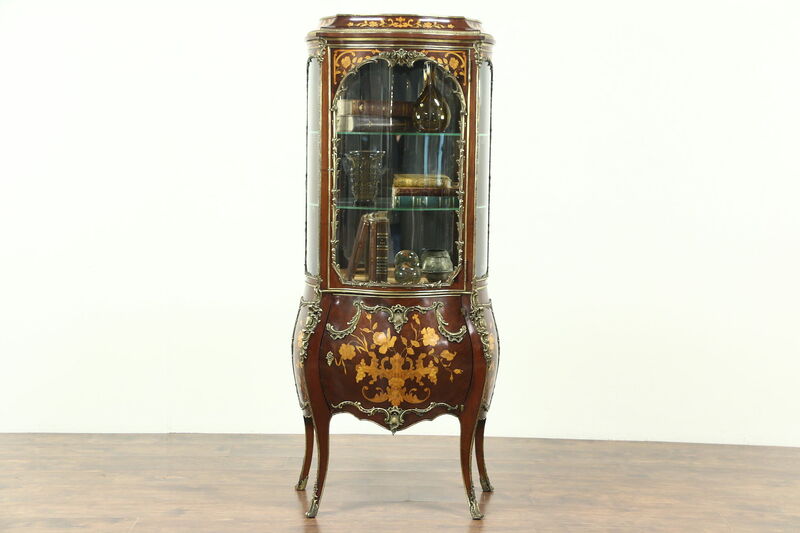 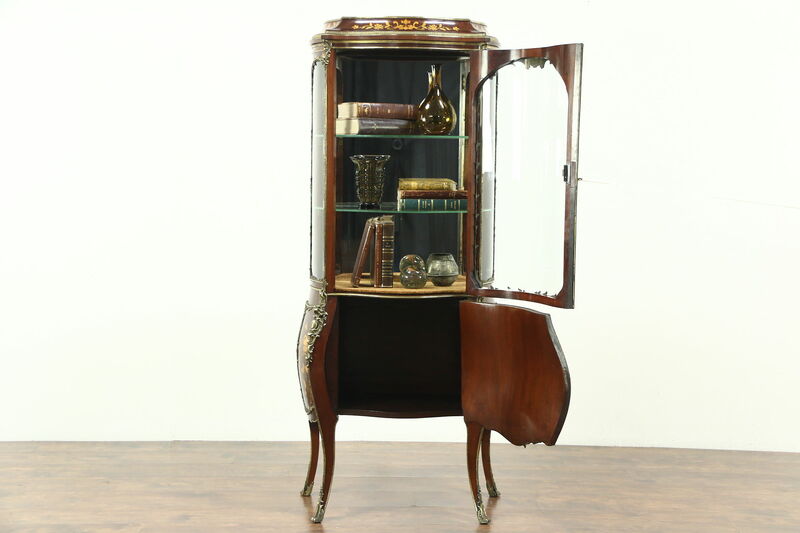 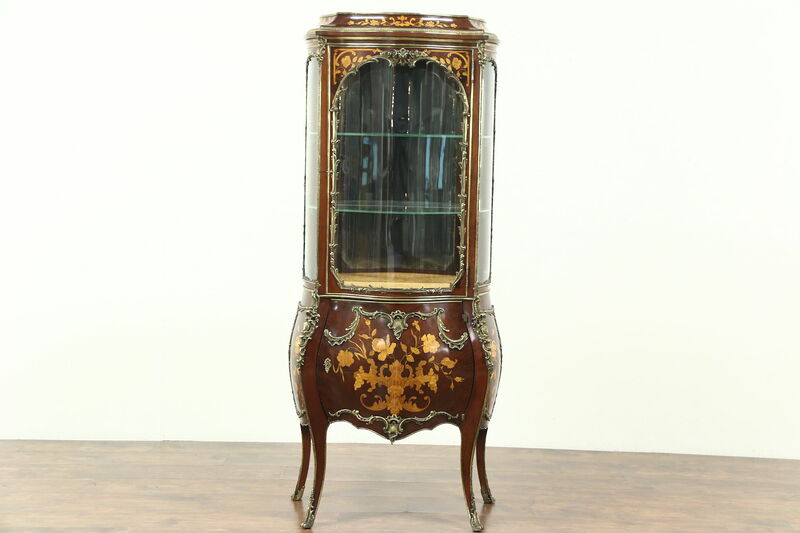 A magnificent "bombe" or convex shaped vitrine or curio display cabinet was hand crafted in France about 1900. 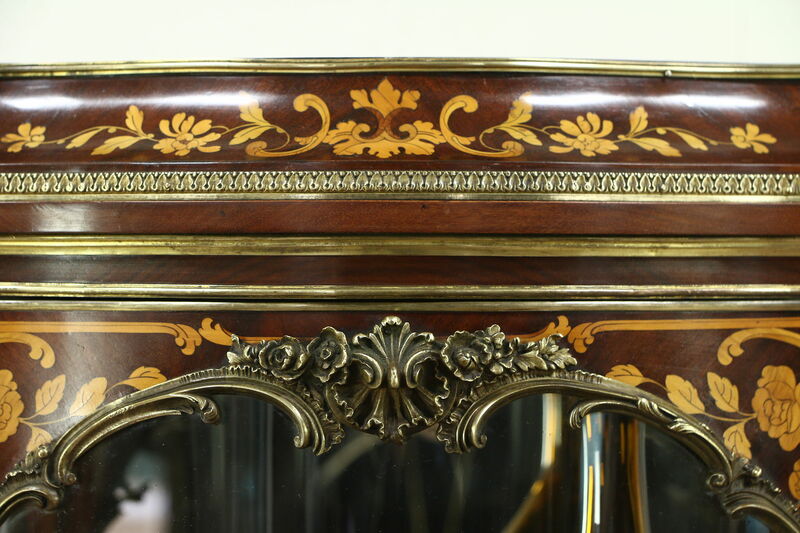 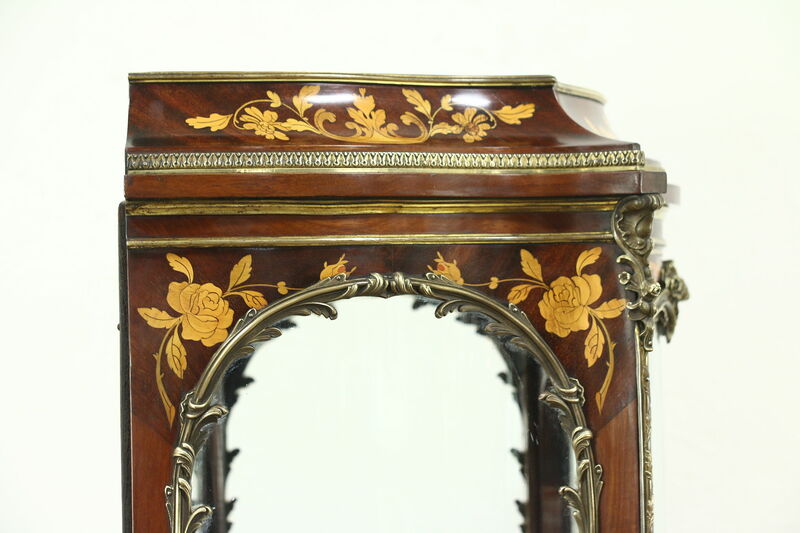 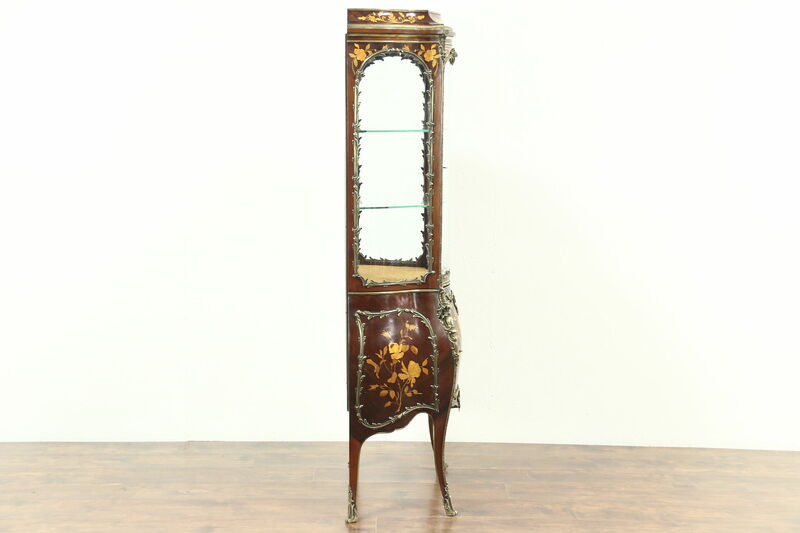 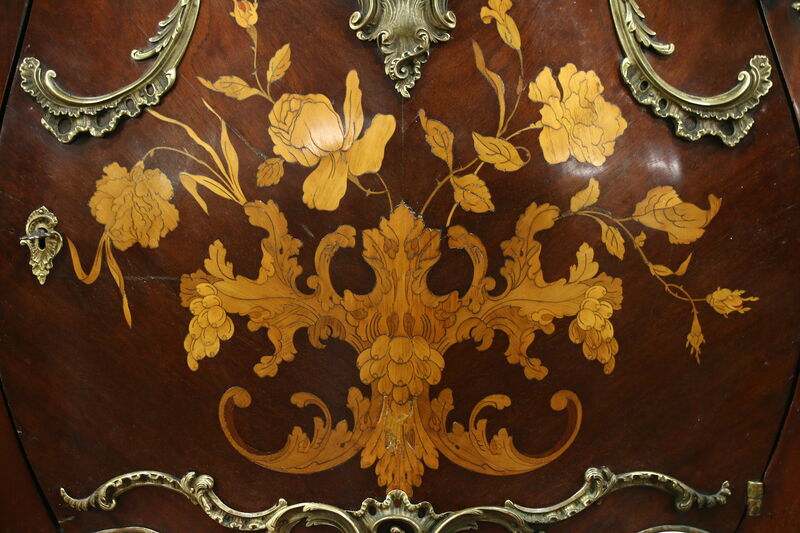 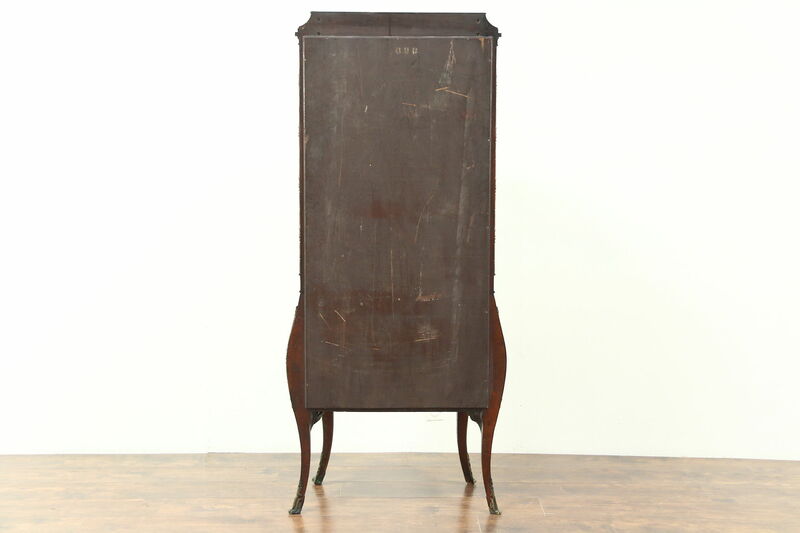 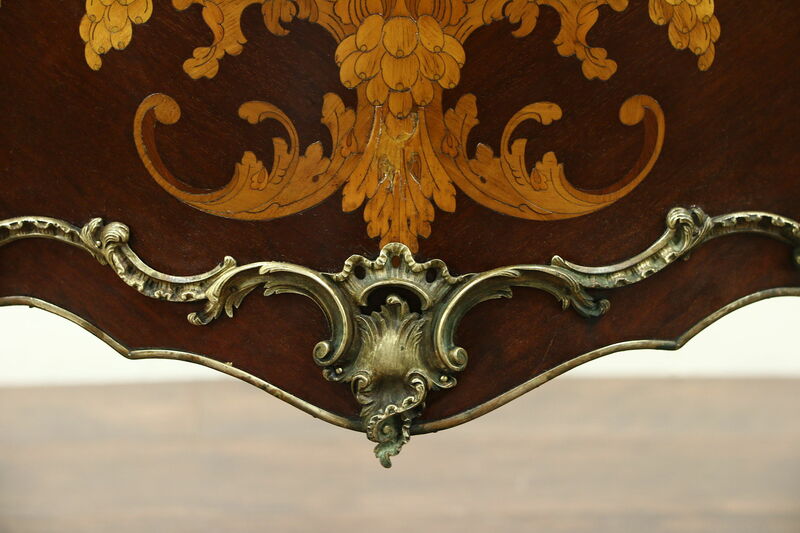 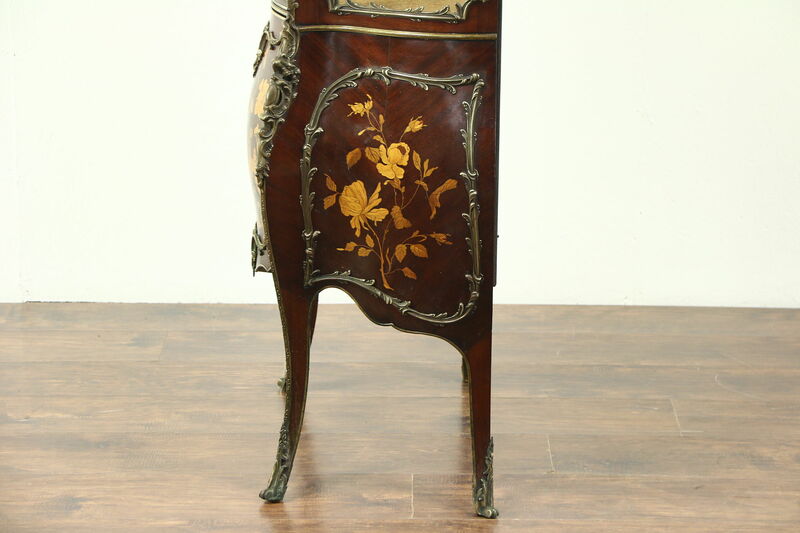 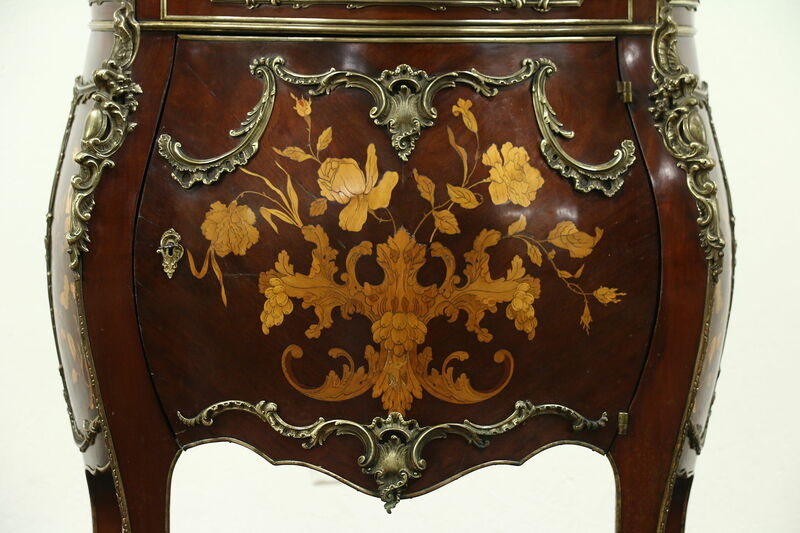 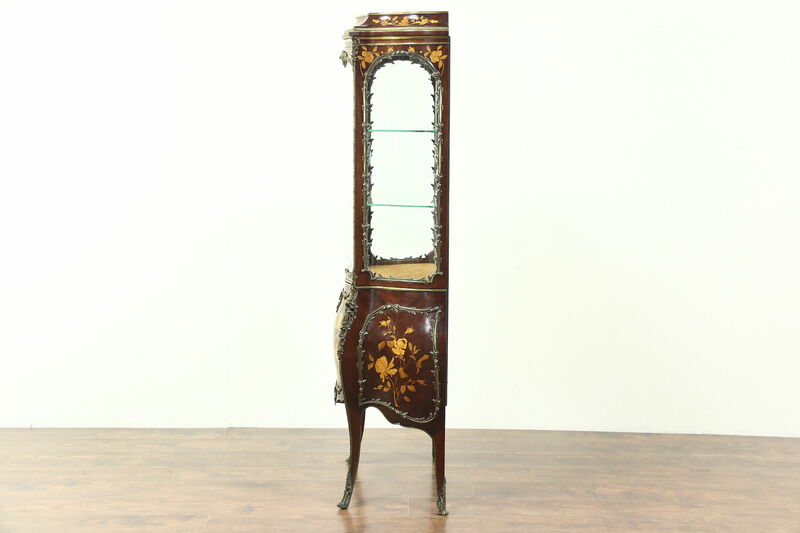 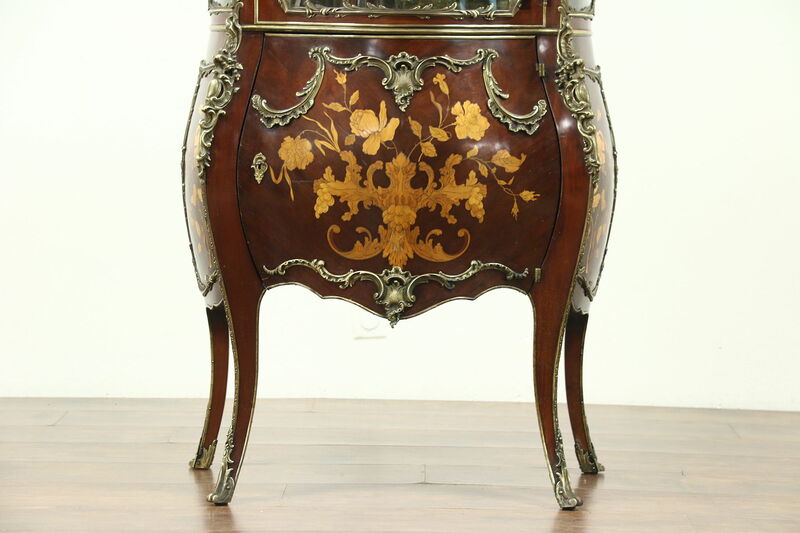 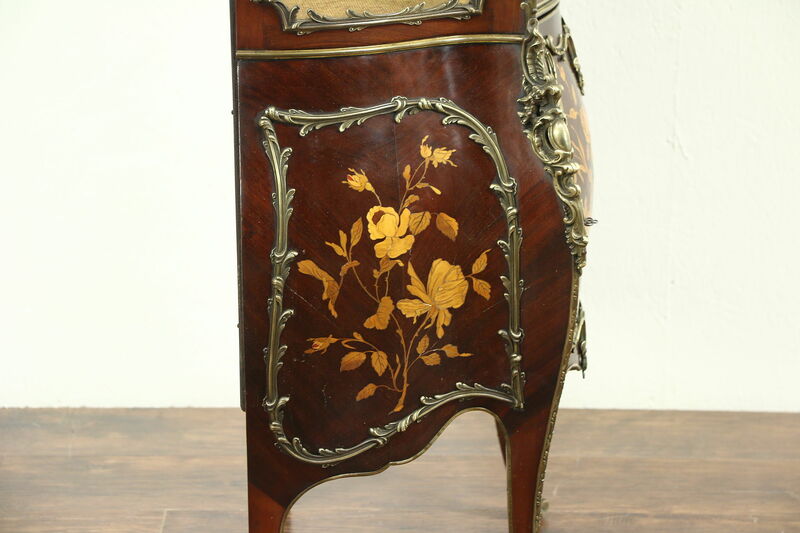 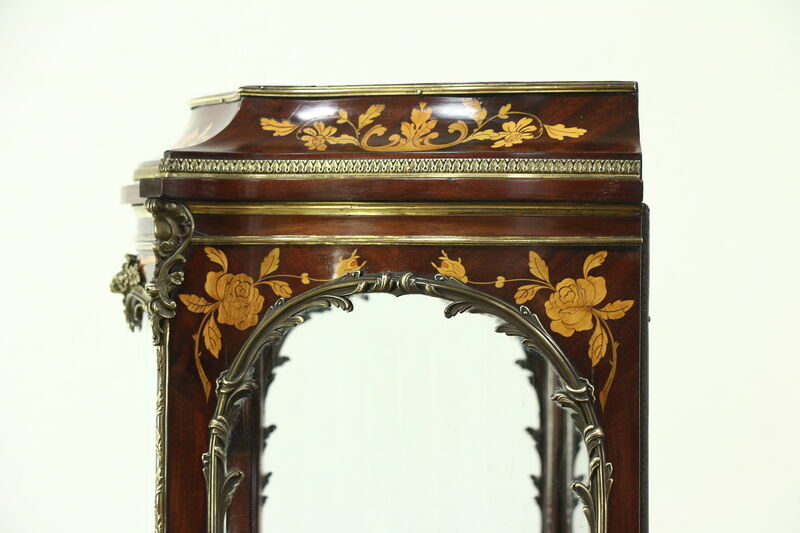 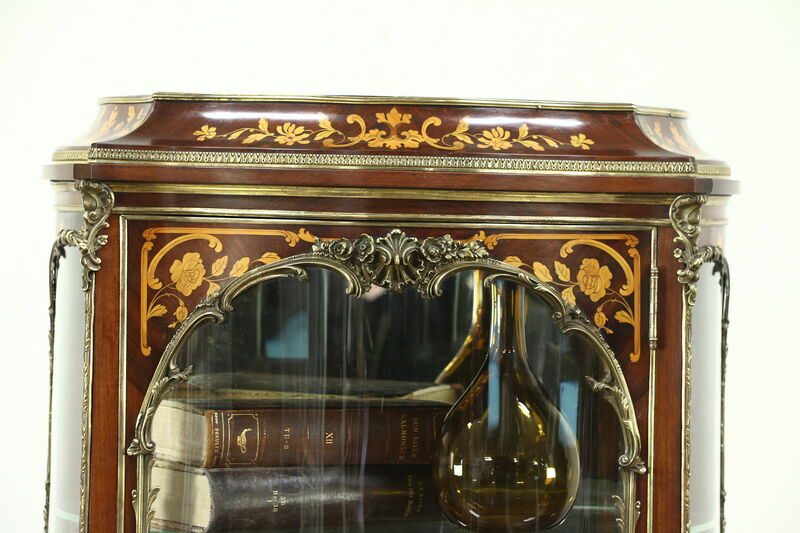 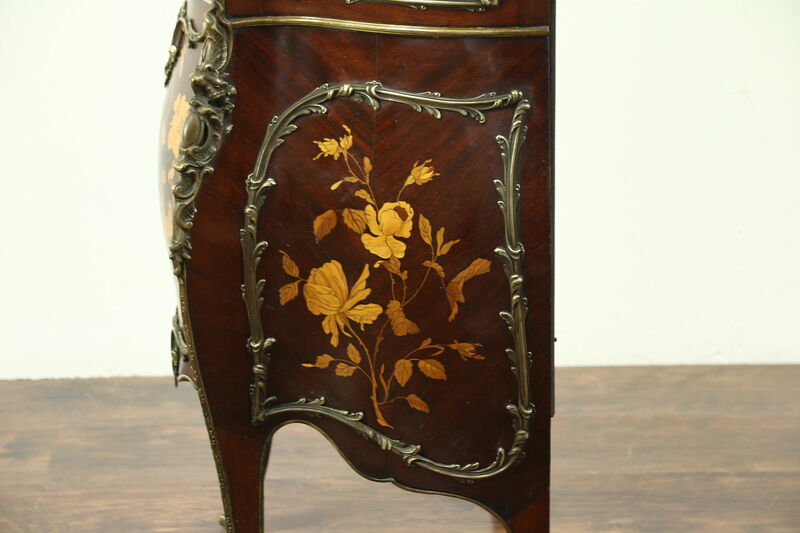 Mahogany has marquetry inlay of satinwood and ebony on this palatial cabinet. 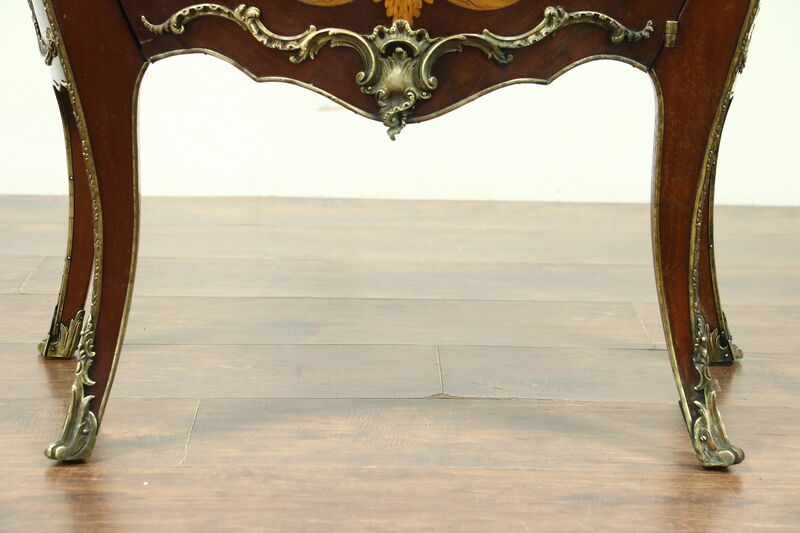 The restored finish is in excellent condition with minor shrinkage separations from age for a little antique character. 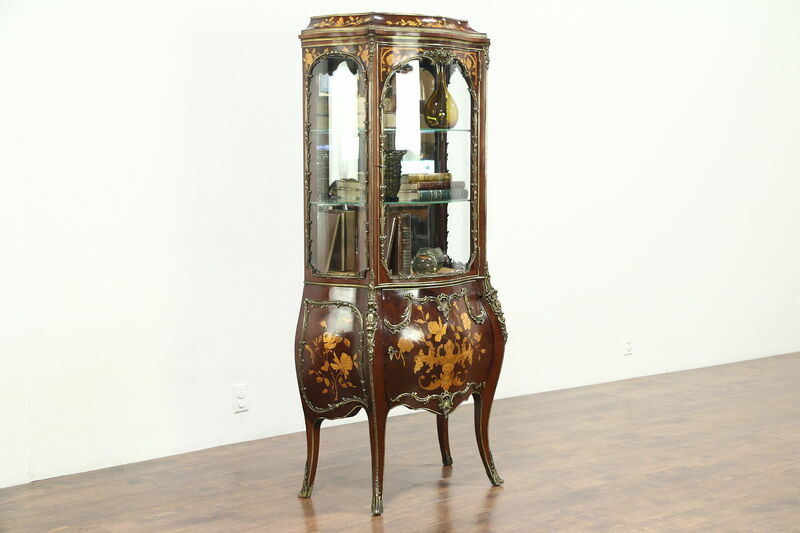 Curved glass and bronze mounts are original. 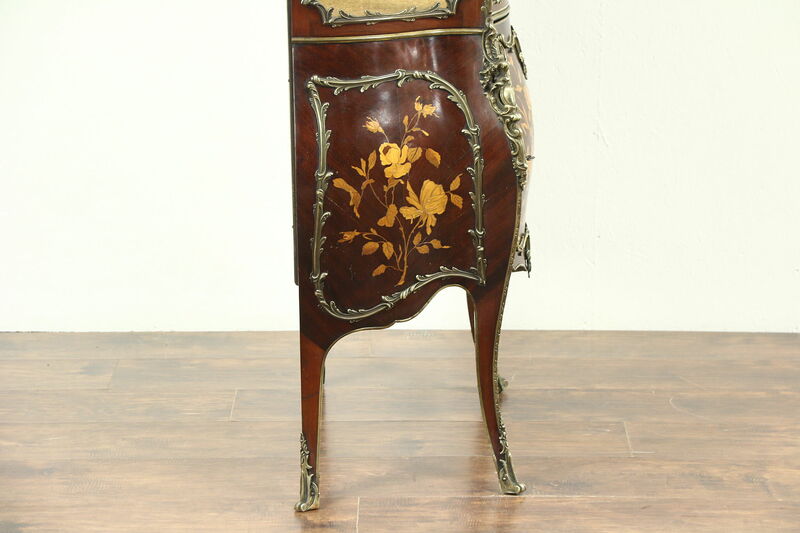 Working locks? 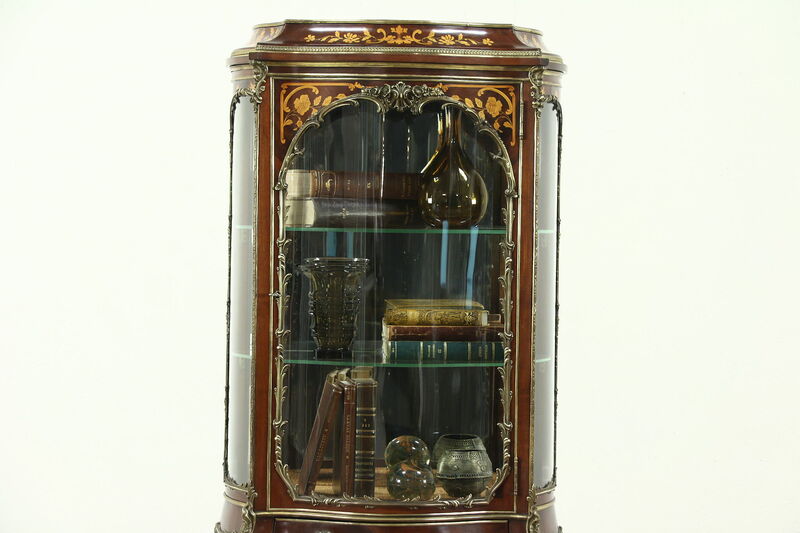 Dimensions are 27" wide, 15" deep and 65" tall.